Bread-and-salt Welcome. A Traditional Ritual Of Offering Bread.. Stock Photo, Picture And Royalty Free Image. Image 7169663. Stock Photo - Bread-and-salt welcome. A traditional ritual of offering bread and salt to a welcome guest. Girl standing in Russian traditional costume. Woman is wearing sarafan and kokoshnik. Bread-and-salt welcome. A traditional ritual of offering bread and salt to a welcome guest. 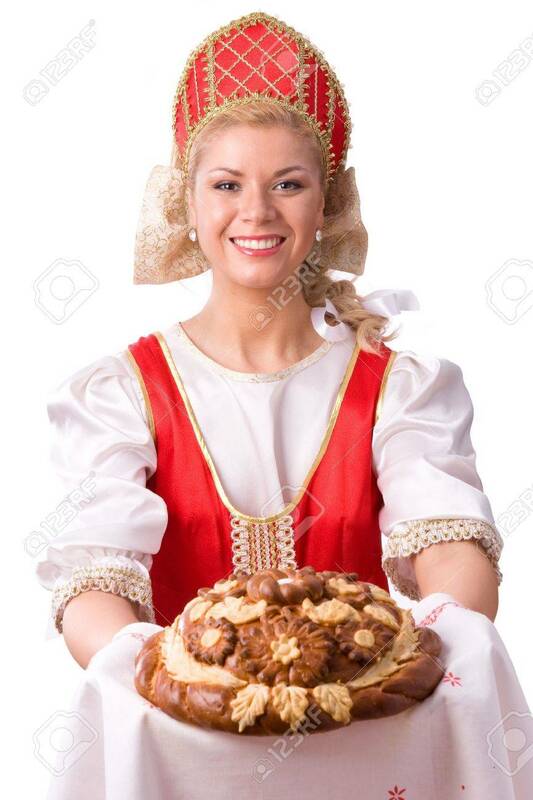 Girl standing in Russian traditional costume. Woman is wearing sarafan and kokoshnik.